Inventory management software for growing businesses. Increase your sales and keep track of every unit with our powerful stock management, order fulfillment, and inventory control software. Run a more efficient business. Expand your business online with our multi-channel inventory management system. Set up and integrate your Amazon, eBay, Etsy, or Shopify account, and start selling your merchandise. Manage your offline and online orders with our efficient order management system. 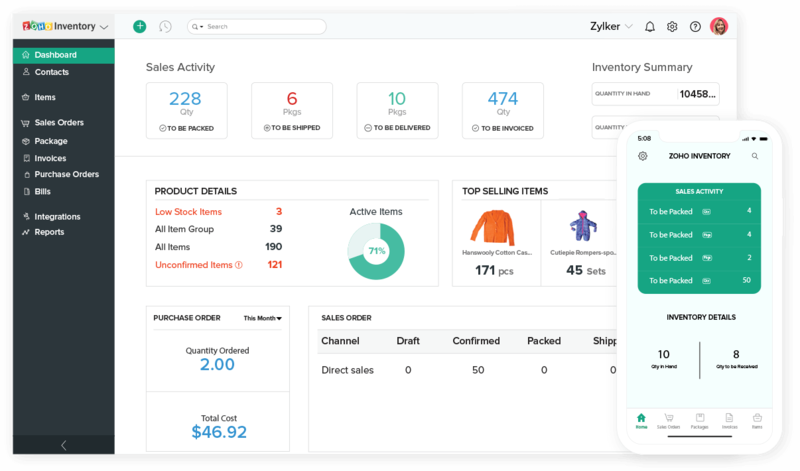 Also, you can create purchase orders, backorders and drop shipments, all in a single inventory management application. 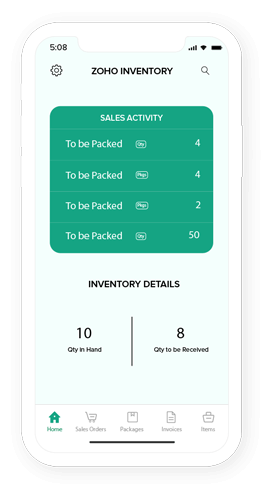 Track every item or batch in your inventory with serial number and batch tracking feature. This way, you can either always keep a track on the movement of the items or have better control over the expiry of each batch. Get real-time shipping rates and in-transit details of major shipping carriers and choose a shipping partner for your business, wisely. A much-needed feature for a complete inventory management system. Our seamless integration with Zoho CRM and Zoho Books automatically syncs all your contacts, orders and help you manage financial data without breaking a sweat. Check stock level, manage inter-warehouse transfer, and generate reports for specific warehouses within seconds. Warehouse inventory management, at your fingertips. We have partnered with the best shipping carriers around the world. Simplify your inventory management with Zoho Inventory.